Waking up from dreams crying, feeling sudden intense sadness. 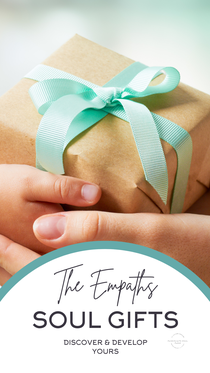 Before an empath realizes what and from where the feelings are coming from....these experiences can be nerve racking. At the present time, we are collectively releasing A lot. Meaning lots of us might be Feeling it - it’s NOW that we feel that we’re ready to release these heavy feelings. When we Feel and Observe, we might have less chances of getting Lost in the Feelings and we’ll be able to offer Lightness to the Emotions. You don’t have to ‘know’ what you’re doing - or have some certificate in your hand saying you studied this and this. Follow your instinct....your intuition. So I invite you, this night before going to bed, to send some Love Vibes out to whoever might need it.